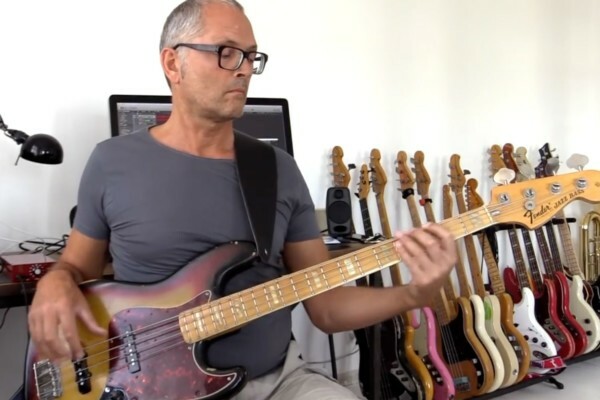 In this new bass lick lesson, we’re going to combine harmonics and double stops with a Mixolydian scale fill. First, I’ll play it at full tempo, then around the 1-minute mark, I cover it slowly for you to follow along. Be sure to grab the backing drum track for playing along at full speed.